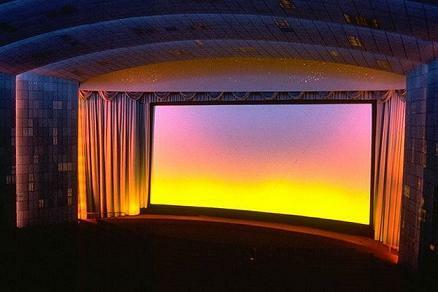 I thought I'd start this thread up here after having a bit of thought with is, so here it is the wondrous Empire Leicester Square screen #1 and enjoy the show! 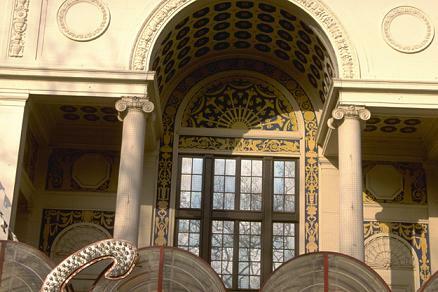 The grandness of the architecture shows that this is place wait until you see the inside. The sound is frigging awesome I Kidd you not, I've been there several times, sick around I'll be posting for quite a while. This image was taken around 1991 at the premiere of Backdraft. Backdaft was presented in 70mm six-track Dolby Stereo via the Lucasfilm THX sound system. 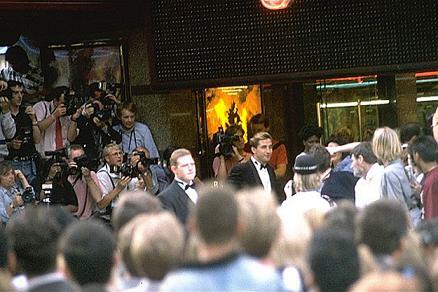 This image was taken around 1991 at the premiere of Backdraft note star William Baldwin in the background. How do you like the show so far boys & girls! 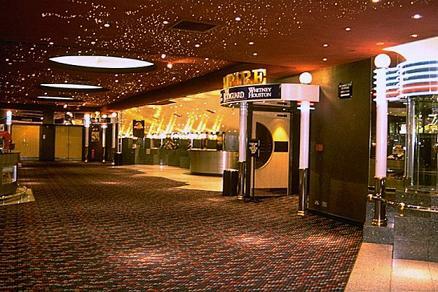 Grab that ticket and start running towards Empire Screen #1. You can clearly see the money was well spent and put to very good use in the refurbishments. While waiting to getting seated in the Empire's plush red rocker chairs and be surrounded with the delights of Dolby Stereo Digital dts SDDS and THX, relax with a drink at the bar. 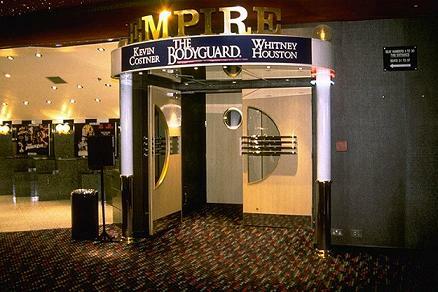 This view shows "The Bodyguard" which was played at the Empire back in 1992 thou the Empire normally shows "Paramount and Universal" films the Empire took it on to show the "The Bodyguard" as the former "Warner West End" cinema was been refurbished herself at a grand cost around £20 million there about. 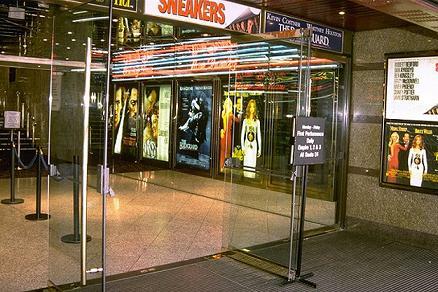 A different angle hear shows the doors to Empire screen #1 were getting closer now we are! WOW!!! I told you, this was voted the number cinema event in the world around the late 1980s not sure if she still holds that status, but in my view this is one hell of impressive cinema, the first time I saw a film hear was "Indiana Jones and the last Crusade" 70mm six-track Dolby Stereo SR with Split-Surrounds via the Lucasfilm THX Sound System. The force of high power sound via some 20 JBL 4675-A 15inc bass mid arranged in the five screen array five horns placed above the bass cabs for the mid high frequencies for Dolby formats 42 and 43 / 70mm six-track, some 8 JBL 4645 these subs go below the most lowest of rumbling of soundtracks. Note the surrounds JBL 8330 can be seen though not clearly as they blend in very well into the auditoriums design, look carefully. 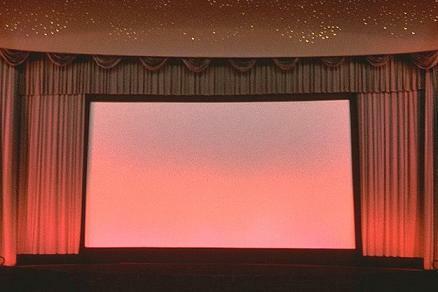 The dimming of the auditoriums lights gives it a different view, note above the screen the stars these twinkle back a throw, it is said upon the premiere of "Forrest Gump" back in 1994 they where put to startling use as "Alan Silvestri" opening score with that gentleness in the music really gave the film a smashing impact. 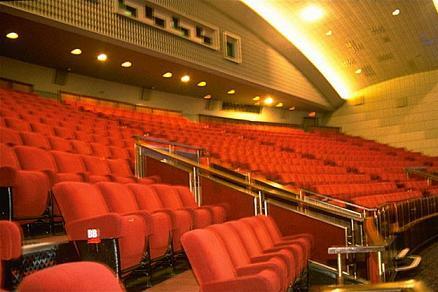 This side view of the Empire auditorium, note the plumb plushest red rocker chairs. It's also said that "James Cameron" raved about the cinemas sound system upon the premiere of "Titanic" 1997 where it played exclusively in dts 70mm THX Sound System, as the best he's ever heard. Aspect ratio set on the screen to, W/S 1.85:1 though I've only seen one film at the Empire in W/S which was "Alive" Dolby Stereo Digital THX, the rest in Scope 2.35:1 and a handful of Star Trek films like the Star Trek day on Sunday 8th October 1989 all five films presented in 70mm Six-Track Dolby Stereo THX sound, except Star Trek the Motion Picture which was shown in Scope 2.35:1 Dolby Stereo A type. 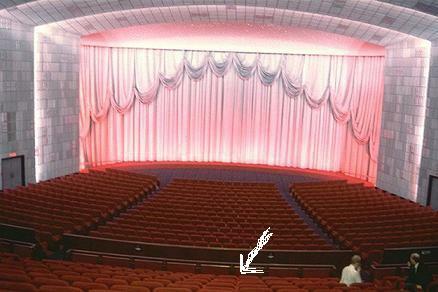 This view showing a closer look of the red rockers, with the back part and the bottom part all movable for a rocking film show, and you them in this cinema, because when Indiana Jones throws a punch it will knock back into the chair LOL it's that good a film when I saw it there on September 13th 1989 Wednesday, and at £6.00 quid. 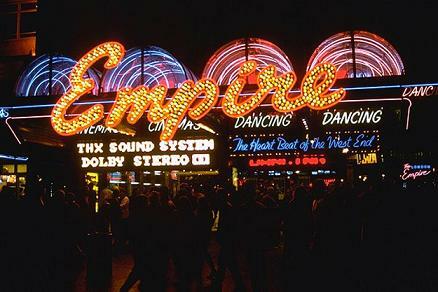 Upon my third attendance to the Empire Leicester Square, when I was working as a projectionist for UCI cinemas in Dorset 10 screen multiplex Tower Park, I met, Ilker Sherif' chief projectionists of the Empire back then, his now moved onwards but there's still someone there to run the shows to spectacular event levels. Ilker' was kind to show me the booth which I must say is the heart of the machine, note the Philips DP 70 dual projectors 35 & 70mm capabilities these projectors won an academy award for technical excellence. 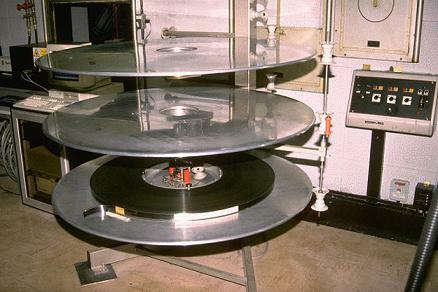 Note the cake plates these can hold up to a three hour feature film, something like "Lawrence of Arabia" would require two cake plates, note the bottom plate this can be rewound onto the middle cake plate or the top one, re-lacing the film back up takes only a few minutes at the most. 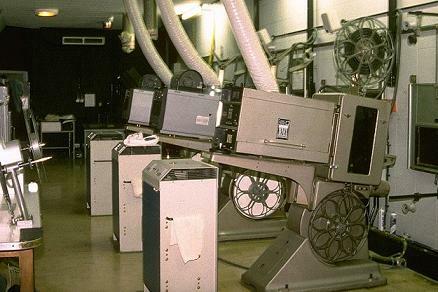 Closer view of the Philips DP 70, note the rectifiers placed behind the projectors, these power up the powerful Xenon lamps inside the projectors lamp house, in the old days carbon arc rods where used where the two rods come together and create an electrical charged bright light, much in the same way as arc welding, is done except where showing films. lacing the projector up and start. Holy cow now that's a rack system with some 15 JBL uri 6290 amplifiers or around 30 amplifiers for the JBL sound system placed to the right sides of and taking up three rack two & half rack framing, in the last two rakes placed to the left side, note two frames above JBL 6290 amps, is the Lucasfilm THX 3417 crossover monitor sound system, above that is a dual tape deck and above that a CD deck this is used for none sync music, that you hear coming from the front left and right stereo JBL in the auditorium. Next to that is the Dolby DA-10 Dolby Digital processor below that is the Dolby CP-200 processor with multiple 27 band 1/3 octave EQ for left centre right split-surrounds left centre and right centre screen channels, and Dolby A type NR this is regarded as a fine Dolby processor within the industry, also in the racking is a Dolby SR type module for Dolby SR type prints found on all 35mm prints to day SR-D as there so called. With around 15Kw of sound power you can imagine what "Indiana Jones and the Last Crusade" must have sounded like, as well as Star Trek, totally out of this world I swear. A different angle showing the awesome mighty powerful, note in this picture placed below the THX 3417 crossover monitor is a dts CD-Rom drive and decoder. The Empire as a few surprises up it's sleeve with a laser show presented before each running of the show, it's used to fantastic effect which is played along with a high tech fast tempo musical piece, which last for around 60 seconds, though today it's not used well at least the last time I saw it operating was back in 1995, well Id be very surprised to know it back up and running. As this played some funky Star Trek images played over the screen and around the auditorium walls with U.S.S. Enterprise attacking a Klingon bird of Pray LOL that was exciting, then the lights dimmed the music faded and moderately the music started up and grandly pressing on you body Star Trek 3 was a real kicker. Closer inspection of the Philips DP 70 projector though there only 35mm film running on the projector via the reels each reel can show 15 to 20 minutes of film, in this mode to projectors would have to be used and change over cues or cigarette burns, that appear in the upper right hand corner oval shaped ones for scope prints and circular ones for W/S widescreen prints same for 70mm prints. that is a VERY impressive theater....Bravo! Thanks, everything that I can remember about this cinema from it's what type of THX trailer that was used for each film that I saw there in 70mm and 35mm regular, to the way it sounded to the way it felt over my body, was totally incredible in the acoustical environment from the front row centre to the middle row centre and even to the side row of the middle section of the auditorium the impact was just as equally smashing! From 35mm Dolby stereo THX to 70mm six-track Dolby stereo, THX the sound reproduction was untouchable! 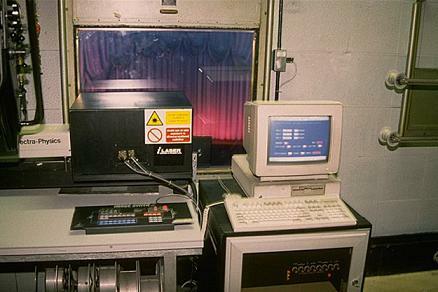 Nice to see some pictures of the original THX system installed in 1988, which remained that way until about 1995 when some modifications were made and the THX license dropped. Here are some up-to-date images of the new system installed this summer. I set the spec. 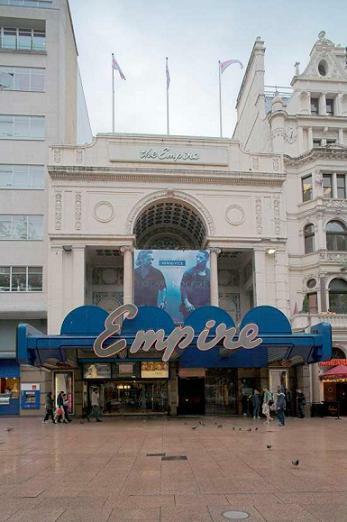 back in 2003, and the new owners (Empire Cinemas) were happy to entertain it. 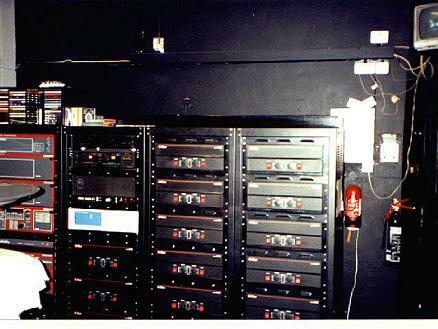 Dolby CP200/DA20/MPU-1/SA10 retained for 70mm magnetic and backup replay. CP200 Modified with CAT 64B EQ cards removed for lower noise operation. 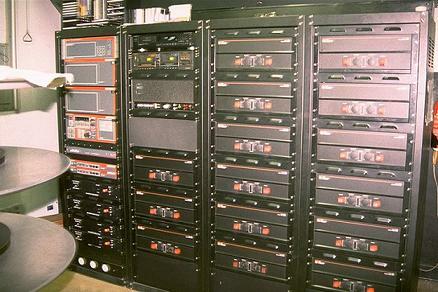 5x DBX4800 24bit/96Khz Loudspeaker Management Systems with HiQNET Control. Digital Feed from CP650, Analogue Feed from CP200/SDDS. 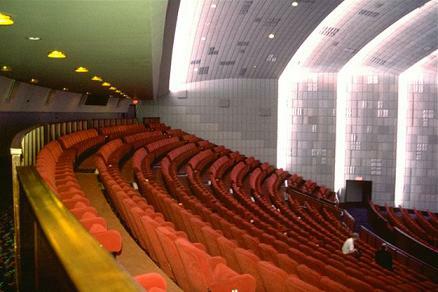 WOW, when I was at the Empire in 2000, for Gladiator they had Martin Audio surrounds that where visible around the sidewalls and rear walls. 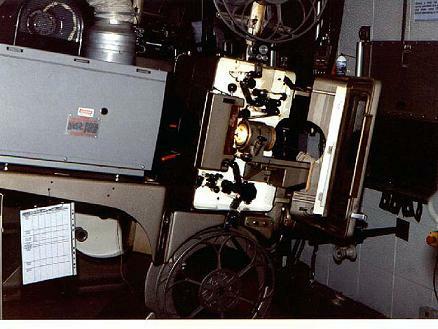 One the projectionists there said the JBL 4675-A where also changed to Martin Audio five-screen, like I said this was around 2000. So they had a refit again around 2003! Well I should have gone to see the Star Wars films at the Empire last year blast! LOL oh well can't expect to always be kept up to date on the happens at the Famous Empire in Leicester square can you. Cheers for the up to date pictures mate. PS. one thing I've noticed that is missing on the specs list is the THX 3417 or the newer THX D-20 crossover/ monitor, so while the loudspeakers the amplifiers and the THX baffle wall and the auditoriums acoustics still measure up. Good lord, x16 JBL 4645C damn those go down to around 22Hz I think, the original spec was just x8 JBL 4645 and even that was DEEP, REAL DEEP Lord knows what this is like now. Mate I'm going to take a trip sometime around before the year is out. Haven't been to the cinema now in little over a year! Hay Lawrence, which cinema chain are working for, or do you work for cinema installations firm? I used to work for UCI and Warner Bros, but I've been out of the game for years now, but you never forget how to lace up. Found another valuable link to add to this thread. There was no refit in 2003 (sorry for the confusion!) -discussions started back in 2003, but the final project only happened this year. The DBX 4800 crossovers are THX-approved, in fact THX now use these themselves (there is no THX crossover/monitor that can handle a four-way five-screen channel EX-equipped system). The booth monitor unit the the BTS MS-X that I designed back in 2000, which has a custom input card to handle the extra channels. Thank you for sharing mate these update pictures are an indispensable look at behind the screen of the Empire's largest screen. Well that's surprising, not even the THX D-20 that was introduced last year to replace the THX 3417 crossover/monitor? Well I've looked at the price for the dbx 4800 and WOW that is really affordable even though it's £2.500 it's a remarkable piece of audio engineering hardware. I must say I've been searching the Internet for years to find some pictures of the Empire that is behind the screen during the installation of the THX baffle walls construction. To me that is the Holy Grail of cinema sound in the United Kingdom. So Laurence, do have any more pictures to share on the refit of the Empire this year? I've kinder had this thread here and elsewhere on the Spielberg forums going for almost a year now and on a few other sites. 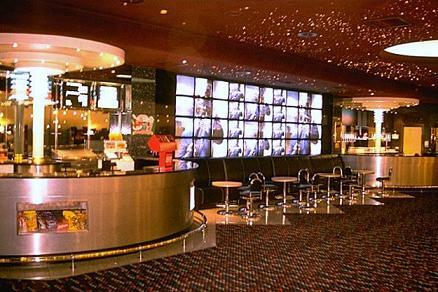 Everyone is very impressed that we have such a cool looking awesome cinema! I was juts looking over at the customized screen array which I use as my deck top, thinking the bass mid was made up of 15" JBL drivers. 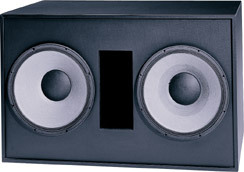 Clearly not there made up of 18" sub bass drivers the JBL 4642 18" here's the specifications. 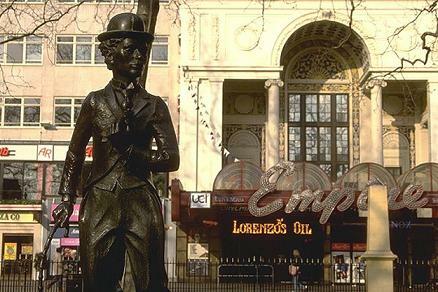 Empire Cinemas Limited knew they had a task on their hands when they assumed responsibility for the Empire cinema, in London's Leicester Square. 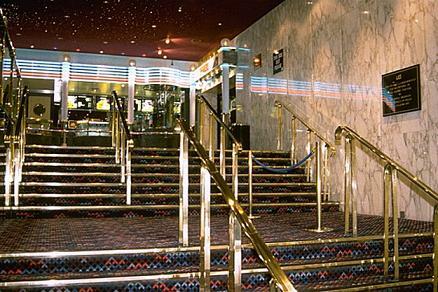 Once the flagship cinema of the UCI chain, and the venue for many European film premieres in the past, the theatre was sorely in need of a refit; its once state-of-the-art surround sound system was outdated, and it had lost its THX licence, the Lucasfilm sound specification seen by many as the 'gold standard' for cinema sound. 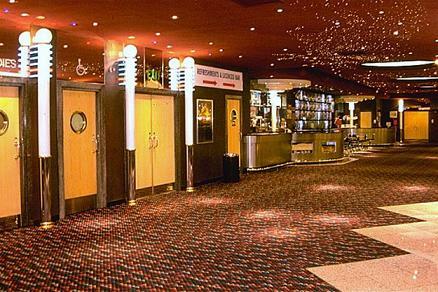 When the newly formed Empire Cinemas group took over the venue in late 2005, they knew that they wanted to return the cinema to its former glories -- and surpass them. And they wanted that THX licence back. So they turned to some of the best names in cinema sound to help them. 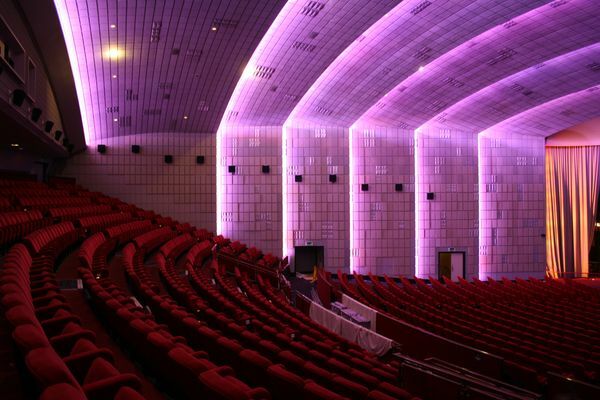 The completed installation, a custom-built system assembled with the help of the Harman Group and renowned London-based cinema installation specialists Bell Theatre Services, includes an impressive array of Harman Group equipment. There are Crown power amps, dbx DriveRack 4800 processors, and JBL custom ScreenArray speakers containing technology for which JBL engineers received the Technical Achievement Award from the Academy of Motion Picture Arts and Sciences. Everything is networked with CobraNet technology, and managed using Harman's proprietary HiQNet control protocol. The involvement of JBL is no surprise to anyone familiar with the history of cinema sound; some of the earliest products developed by company founder James B Lansing over 70 years ago were cinema loudspeakers, and sixty percent of cinema speakers sold today worldwide are made by JBL. Indeed, the former sound system at the Empire was built around JBL speakers, which is what led the Empire's new management to contact Harman Pro UK, the British arm of JBL's parent group. And Max Bell, Managing Director of Bell Theatre Services, was only too happy with Empire's choice. "We've always used JBL speakers", says Bell. "For me, they're the best on the market -- and JBL are still the only speaker company that has a proper research division, which means their products are always improving. We've always had a close relationship with Crown International, too -- we specify a lot of JBL/Crown systems." 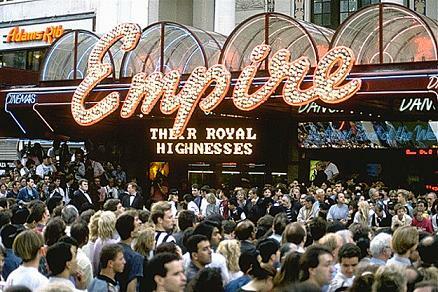 One of the reasons Empire Cinemas took on Bell Theatre was that the latter have had a long association with the venue -- Bell had carried out the Empire's previous refit, back in 1988. And Empire were sparing no expense this time around, as André Mort, Technical Manager at Empire Cinemas Limited, explains: "As a new organisation within the UK cinema industry, we wanted to show that only the best would do for such an important venue." "They said 'Go for it. This is our flagship; we want the best'," adds Max Bell. "So that's what we gave them". 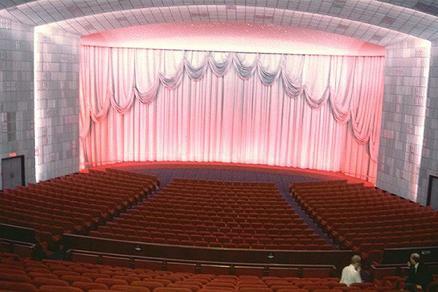 The refurbishment, which reportedly cost a six-figure sum, involved enlarging the projection screen to dimensions of 18.2 by 7.68 metres, reconstructing and acoustically treating the space behind the screen and rebuilding the THX baffle wall, and completely revamping the cinema's sound system. 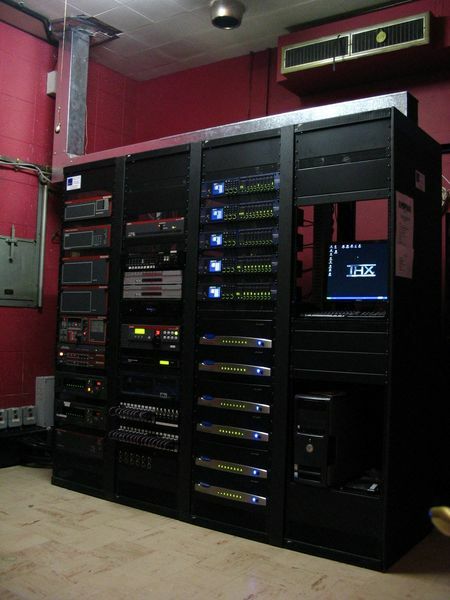 The completed setup comprises a Dolby CP650 digital processor, five newly THX-certified 96kHz-capable dbx 4800 DriveRack processors to manage the loudspeaker channels and handle delay compensation in the auditorium, and the power amplifiers: 13 CTs 3000s, six CTs 8200s, and five Crown CTs 2000s. This range of amps drives the generous complement of 16 JBL 4645C 18-inch subwoofers and 42 JBL 8340A surround speakers (each of which has a dedicated amp channel), as well as the five JBL Custom ScreenArray 5632 full-range, four-way speakers, which handle the Left, inner Left, Centre, inner Right, and Right channels. Everything is managed via Harman's HiQNet digital control protocol from a PC in the projector room. In keeping with their usual hands-on approach, Harman closely assisted Bell Theatre as the refit proceeded, providing advice on system design and configuration and ensuring the equipment arrived on time. This was a particularly important role, given that the entire refit had to be completed in just two weeks, before the start of the important summer blockbuster season. 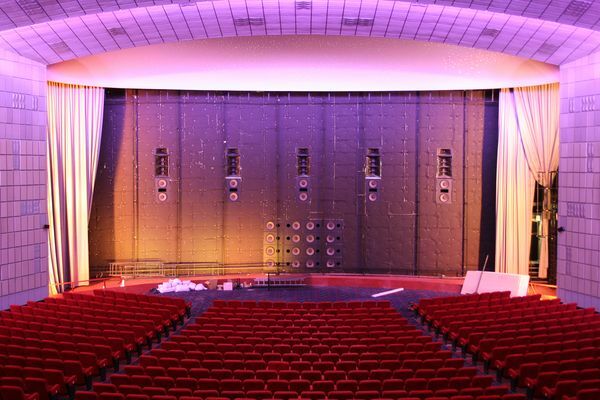 As the project neared its end, Harman also sent Mark Bailey of JBL's European Technical Support team to help fine-tune the finished auditorium's acoustics. With the work complete, the reopened Empire is now capable of an earth-trembling combined sound output of 56kW -- a great improvement over its former 13kW best. 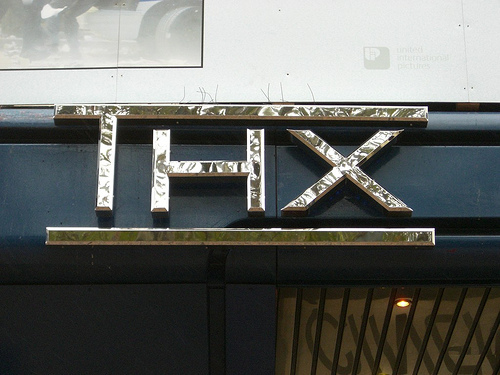 And of course, the THX certification is now firmly back on the cinema's wall. 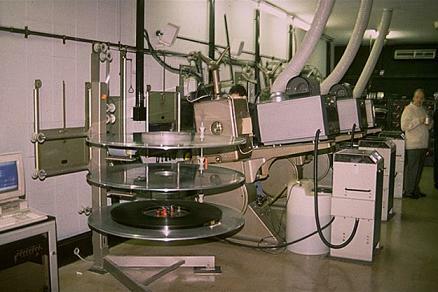 The only element remaining from the original installation is a Dolby CP200 analogue processor, which has been retained for those occasions when the cinema wishes to screen restored 70mm analogue prints. Thus the Empire is now capable of handling the best in analogue and digital formats, as befits a top-flight London cinema. "I've been involved with The Empire for many years," comments André Mort, "and the performance of the new system has greatly exceeded my expectations." Feeling the strength of the power with Kahn lifting Chekov off the floor was felt now that was quite impressive even when seated half way back in the auditorium here! On the Star Trek day, Sunday 8th October 1989! Hey I thought that the LF drivers in the 4642 were the 2242Hs? If they were the 2241s then it'd be 1600w continous pink noise and sensitivity 102dB wouldn't it? You needn't worry the Empire will impress you, the 4642 where designed for sub bass applications but someone had the cleaver thinking of turning that around and using them for screen channel bass. You mean they use them at higher bass frequencies like in olympic music? I don't know about Olympic music, but hearing and feeling a Star Trek film with bruit force of bass and sub bass hitting me in the chest half way back in the cinema was informally better than substandard cinemas without JBL THX. Outfit your walls with those then! WHAAAAMMM! These are great photos! However, I gather that they are all post refurbishing of 1989. Do you know of any sites where I might find photos of the interiors as designed by the Thomas W. Lamb firm in 1926-28. My father was his man on the job and I would like to show his grandchildren the things that he worked on. I guess I don't have any pics. Just double the speakers and quadruple the amps and subs then run full blast during a movie. You better watch out. Seeing Star Trek II the Wrath of Khan at London's Empire Leicester square cinema screen # 1 back on warm Sunday October 8th 1989 which was part of an all day Star Trek event which started at 11am in the morning with a packed out Empire was totally out of this world for sound presentation via the Dolby stereo six-track and the Lucasfilm THX crossover system which was accompanied by a huge JBL loudspeaker array delivering up close to 16KW of brut sound power of high fidelity had to be heard! The first show stared off with 35mm Dolby stereo optical print of Star Trek the Motion Picture which for an optical track sounded great all the richness of the soundtracks sound elements where faithful reproduced without colourization of the sound it fitted the screen size perfectly. The 70mm six-track Dolby stereo experience! Star Trek II presented in 70mm went just that bit further in terms of sound the opening titles was deep from the moment the James Horner score started over a Paramount Pictures logo, it gradually builds up in layers where its presence started to vibrate the chair with certain parts of frequency range pressing on me! One moment in the film that I thought was quite impressive was when Khan, lifted Pavel Chekov off the floor whoa, this was a quite ambient scene and where all that low came from I still haven't the first clue thou I'm sure most of it is in the centre channel mix after playing the same scene on region 2 DVD. Now I have seen this many times projected in the cinema via several 35mm optical Dolby prints but never like this, yes this is how it should sound and feel with lots of drama that makes the audience gasp! Its not easy to play a scene like this and then later where the U.S.S. Enterprise is being attacked by a vengefully disgruntled Khan why who could blame him, suddenly you reach for the volume as it seems too bright sounding in the high frequencies as the phasers fire from the fronts then pan to surrounds within milliseconds its all too much for the home. Getting all to sound right in the home varies from home to home the type of loudspeakers amplifiers equalizers room acoustics how one might customized the sound system to have a unique difference over most its about how far one is willing to take it and make its conviction sound good without muddying up the sound. Haha. I saw Sneakers was playing at the Empire. I love that movie! "It's all about the information!" It's all about the information what see, what hear and feel in THX its all about the information. I think at the time this picture was taken Sneakers Dolby SR, had just finished playing in THX and was downstairs in Empire # 2 while Death Becomes Dolby SR, Her was upstairs in Empire # 3. While The Bodyguard Dolby SR-D was in Empire #1 THX.